The alcohol abuse in Russia has already reached frightening sizes long ago. The ancestors of the Slavs drank alcohol on various occasions: birthdays, wakes, christenings, and religious holidays haven’t pass without traditional alcoholic drinks. Regardless of whether the reason was sad or hilarious, the Slav, and lately Russian, knew that there surely have to be strong drinks on a table. The history of communion of Russian people to this addiction of alcohol consumption is unusual long and can be divided into individual stages. Nowadays the habit of consumption of strong drinks is so rooted in a society subconscious that many citizens haven’t already imagined their life without drunkenness. Those, who addicted to alcohol drinking, are often ready to give the last money and material savings, when organism requires next doze and the psyche – so-called opportunity “to chill out”. 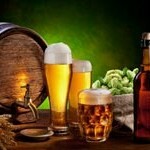 The speed of alcoholism propagation at the territory of Russia has a terrible dynamics. An alcohol managed to destroy countless amounts of lives and families. The statistics presents threatening numbers, because according to these data it became clear that every second citizen is a victim of alcohol dependence. Such approval doesn’t leave any doubts, since coming on the street it’s not difficult to meet passers, who have clear signs of addicted to the bottle. Neighbors, relatives and friends, who have tense relations with an alcohol, also confirm present disappointing statistics. Moreover, we have got used to the view of citizens having alcoholic dependence so much that do not think fit to be surprised or react at their appearance. Children alcoholism, which became more and more spread in Russia, also has stop to shock and caused confusion. And again all this again tell that the alcoholism – is not just one of the most spread Russian problem, but a real distress, which requires awareness and decision. legality of alcohol and ability of purchasing it at any shop. The bright ad, propagandizing expansive alcohol drinks, and not very expansive low alcohol drinks, is printed out as bright image in fragile child’s brain, forcing a child or teenager to taste alcohol hoping that the drink gives that sense of style and coolness, which the heroes from ad ostensibly have. A similar situation exists not just with alcohol drinks, but also with tobacco products, and also with different foodstuffs, which are difficult to be called healthy. In this way, using “dirty” marketing instruments, the manufacturers of different good, unable to bring a use for consumer health, impose their production for children and adults. Accessibly, that it is rather difficult to be protected from in but possible. The teenagers are exactly that category of population, which are best of all felt for commercials suggestions, posters and slogans. Besides, younkers and girls are often addicted to assess negatively the attempts of adult tutors and parents to fence them from alcohol aggressive propaganda, which is condescended directly from TV screens. The information, spreading from TV screens by alcohol manufacturers, is fictive, because bring wittingly untruthful information, fabricating so, that the consumers wish to buy the production. PR managers and advertisers also often go from reverse, telling that alcohol not just harmless, but also can bring a good for organism. We are talking about, for example, a polyphenol, getting from grapes, which is the foundation for red wine production, it is useful not just for heart and vessels, and also for formation of strong immunity. Cunning advertisers forget to say just that the amount of red wine, which is able to bring a use for heart, is scanty. Besides, a really quality red wine costs money, and it means, that not all categories of population can take the liberty of buying it. Propaganda of healthy lifestyle and refusing from alcohol consumption – is that information, which weakly reaches teenagers brains, and also is rather a long time ago considered as not fashionable in teenagers surrounding. We can’t remember that nowadays young people in Russia simply don’t have authorities and idols, which would rather persuasively preach soberness and more healthy and developmental hobbies. Cannot remember, that nowadays young people in Russia simply don’t have authorities and idols, which would rather persuasively preach soberness and more healthy and developmental hobbies. Psychological experts say that for education of new spiritual healthy generation is necessary in order of teenagers’ idols profess creating ideals, which can force the teenager and children engage not in auto destruction but in self-development. Those, who assert, that alcoholism is a problem that is almost impossible to be fight with, can remember that during the Soviet Union times the struggle with alcohol consumption was led with large scale and rather successfully. Of course, we can’t forget that unwillingness of some population layers to give up drinking has grown into prosperity of alcohol drinks clandestine manufacture. For sure many readers, who have grown as far back as during years of USSR, can remember a neighbor, who has made hooch. Especially noteworthy is that during under-the-table manufacturing of such strong drinks the people often use not sugar, which was difficult to get, but “Berbers” and “Duchess”. We can’t say that the struggle with alcohol in USSR was absolutely unsuccessful. The public policy, certainly, brought its positive results, though agencies, responsible for its realization, had to make big efforts for popular resistance overcoming. In favor of that the struggle with alcohol in USSR was successful the lifetime numbers speak and also the quantity of deaths from alcohol, which were not as frightful as present-day alcohol statistics. In this way during the soviet times the drunkenness was not just blamed and also was the one question of headmost national importance, to solving of what were used lots of resources. Why do the Russian people drink? The question about the reason why the Russian people drink so much, probably, excites not just experts and scientists, who work out different ways, calling to help with alcoholic thirst. This question also excites the relatives, friends or colleges of a human who became a victim of strong drinks. For sure many who has also mused upon the reasons why the alcohol didn’t has so huge influence on our ancestors of the Slavs, how does it have now on our contemporaries. Question is that Slavs who had to gather in rough physical labor for subsistence procuring, simply didn’t have such quantity of free time as contemporary inhabitants of authentic Slavic lands. The dweller of Russia, who has an opportunity to devote less time for labor, often tries to fill their leisure with help of alcoholic drinks, which ostensibly make the time, spending in company of friends (simply put – convives) more bright and saturated. 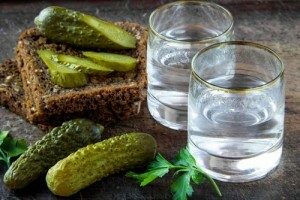 The Slav, who drinks vodka only during religious holidays, birthdays or winks, hadn’t any time and desires to drink the alcohol during working life. Our ancestors knew that it is necessary to get enough sleep before the next heavy work day, and not to drink vodka, which surely makes the earning capacity worse. It is not a secret that doing a sitting work from hangover is possible, whereas it is almost impossible to sow or plow the field after drinking of strong drinks. The variety of alcoholic drinks is another reason, which forces the Russians to drink more. If before there were available vodka, beer and some more kinds of strong drinks, and now the human who came to the magazine doesn’t know where to look first. Often citizens began to drink more often just in order to taste this or that new kind of alcoholic drinks. Drinking the alcohol on this occasion you cannot notice as you slowly but surely ruin yourself by drink. Besides, nowadays many dwellers of Russia choose the alcohol as factor helping to relax and relieve stress after hard work day. Drinking of vodka or cognac for appetite is also a factor, which causes alcohol spreading. People, drinking for appetite, often simply do not understand where the margin is, when alcohol drinking becomes dangerous. In case of alcohol drinking with a view to appetite stimulation, it can seem for the potential alcoholic that he keeps everything under control. Moreover, a man can simply do not notice that he began to drink more often without a reason and increase dozes of consumed drink. Official legalization of alcohol is another reason, which forces people to a glass. Though the social advertising exists, this warns the citizens that a consumption of alcoholic drinks can be unsafe to their health, but a few who pay attention to it. Actually, black letters at a white background can be seriously he as warning inscription, while advertising is surprisingly bright and inviting. A human, probably choosing the profession, which doesn’t bring the satisfaction, often trues to find a satisfaction in alcohol, which is available and can be bought at the nearest stall. Besides the ads gives a promise that only one drink is bringing a good mood, relief and other pleasant feeling. As known the second drink is there the first one. So the man has not time to recover as drink several banks of beer, instead of planning frothy half of glass. Difficult life situation, which make strong stressful impact on people with weak character, are another spread reason to drink. A drinking human, who faced to problems, feels that a heavy load to bear, which leaned heavily, falls back and becomes not so important when the bottle of cognac or several bottles of low-alcoholic drinks have been drunken. One of the factors, which make the problem of alcoholism for Russia so strict, is that the inhabitants of Russia themselves deny willfully the presence of any problems. The acknowledgment of the problem, as a rule, becomes a first stage to a recovery. It is not rear the situations when the alcoholics, who recognized the problem, comes to decision of making a first step of getting rid of the dependence by himself. If the alcoholic can’t fight with dependence independently, then the skillful specialists can come in time to help him, who are making a process of recovering mo efficient and fast. We can’t forget that even when the patient is helped by the doctors and psychologists, his will and the desire to recover stays decisive. 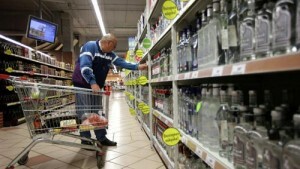 drug experts say, that nowadays more than 3 million of Russian suffer from alcoholism. The data of this statistics are really frightful, because even some 15 years ago there were no one alcoholic among thousands of adolescents. We can come to conclusion that children alcoholism (as adult) progresses more and more every year. We can’t forget that this progress isn’t happily. Besides, experts, engaging in alcoholism problems, say that many children and adults have unascertained or unconfirmed diagnosis nowadays. The matter concerns the situations, when a human has all attributes of alcoholic dependence, but he doesn’t to admit the problem honestly. 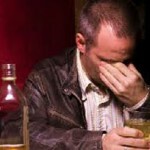 Specialists say that the alcoholism should be treated not just when the patient agrees for treating, but even when the alcoholic doesn’t think he is ill. Doctors say that the patient who doesn’t accept that he is ill simply doesn’t realize that he has alcohol problems, which has managed to regrowth into the category of dependence. social reasons (ladies are easier succumb to another’s influence that force them to drink “because of respect” or for some other reasons). Cannot be overlooked, that alike negative influence is not desirable in no way for woman, who want to feel the happiness of mother hood in future. Among the risks factors, which make the women alcoholism more dangerous, is that women need much less time for attachment to become pathology. If it is necessary 16 years for a man, then for a woman is pretty enough seven. In 2009 there was approved a concept of alcoholism prophylaxis among the population of Russian Federation. This conception says that till 2013 year the consumption of alcohol by the citizens should not exceed 30 liters per person per year. Besides, the conception supposes that till 2020 year a typical Russian should drink not more than 8 liters of alcohol per year. taboo to organization of alcoholic arrangements (festivals, parties, etc.). it is worth noting that in 2013 year were adopted more harsh amendments for this conception, calling up to fight with alcoholism spreading among the Russians. Among the amendments also there is an amendment, prohibiting of night selling of drinks with alcohol content more than 0,5% (after eleven p.m. to eight a.m.). Acquainted with the above material, we want to believe that Russia will lose the status of drunken country in future. The struggle with over consumption of alcohol should become a factor, uniting all dwellers of huge state. Nowadays overdrinking of alcohol has reached that sizes, when inactivity can bring to nation destruction.